The Scubapro Knighthawk has been my go to BCD many years, I purchased it before I started my IDC in 2011 and it has accompanied me for many dives. The Knighthawk was the first back in flat ion BCD that I have owned, and it was responsible for a complete change in my perception of BCD’s. The Knighthawk had many features that I think made it a very great BCD, but over time and with exposure to other brands I began to see some of its shortcomings. The Good: One of the features that I really enjoyed about the Knighthawk was that all of the straps and fast tech buckles tightened from one side making it easy to synch down everything at the beginning of the dive. It also had a metal cam buckle for the tank strap that if you were consistently diving the same size tank made set up fast and easy. The bladder on this BCD was huge, I had a medium and the lift capacity was 44 lbs. It had a padded neck and plenty of D-rings for accessories. 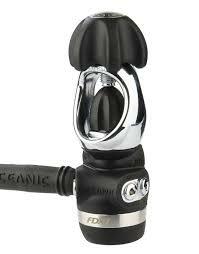 I enjoyed this BC a lot and I found it suitable for cold water diving and warm water diving. The Bad: There were a few things that I began to realize over time with this BCD that I wish could be a little different. The quick release weight pockets felt overly secure and difficult to remove in an emergency, (obviously I wanted them to be secure, but in training new students on how to remove weights I always had to cheat a bit and actually unclip the buckles instead of just pulling the pockets out). 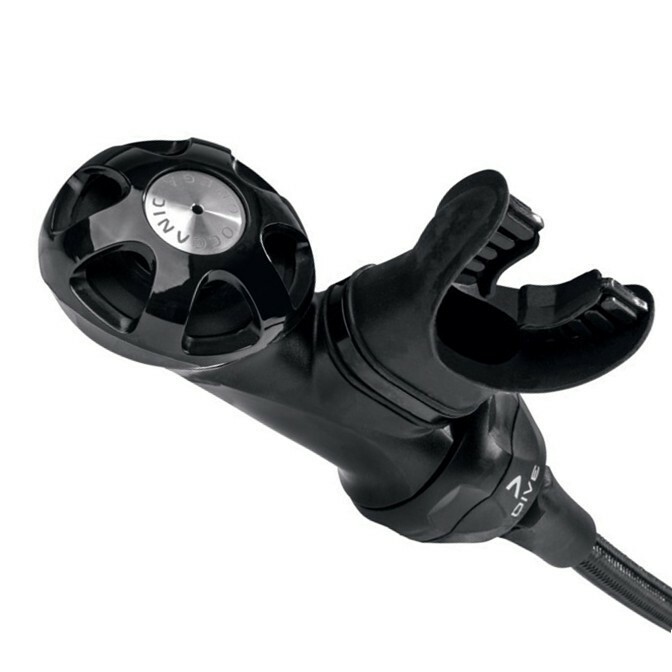 Another issue I ran into was the deflator purge valve getting stuck open on giant stride entries, because it is a little switch that can be manipulated with the hand I could quickly fix it after i was aware of the situation, but not ideal. The auxiliary shoulder dump would often get stuck under the shoulder strap and was rather uncomfortable when it did happen. One of my last gripes with the Knighthawk was that the bladder while large was not well secured, it has elastic lashing around the edges to keep the air distribution even but it is a single piece of elastic for both sides so it also shifts and I found it prone to collecting air on one side. The pockets at the base of the weight pockets are also worthless, hard to fit a pocket mask or anything for that matter and very inconvenient to access during a dive especially in gloves. Things I’m not sure about: The Scubapro lifetime warranty. When I bought this bcd in 2011 before I started my IDC program one of the selling points was that there was a lifetime warrantee. Over the years with an abundance of use teaching in the pool and ocean the BCD had begun to deteriorate, despite regular washing and rinsing. When one of the velcro pieces broke at the base of the base plate and the pad had begun to swing when I dove, I decided to take advantage of the lifetime warrantee. I jumped through the hoops of finding my receipt 3 years later and sent it in for repair. When the BCD had returned it came with a $25 dollar fee, not huge but shouldn’t the warrantee have covered that, or did I just miss understand the guidelines of a lifetime warrantee. Overall this bcd served it purpose, but like any piece of equipment its hard to get every feature you want in one. Would I buy another Knighthawk, maybe in the future when the design changes a little, but I believe there are better BCD’s out there at the moment. That are a little less expensive and have more features. 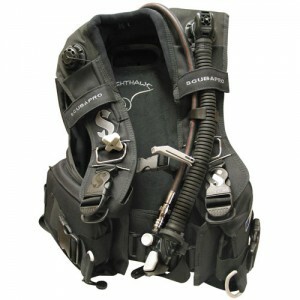 The Knighthawk bcd is to be discontinued, scubapro is currently in the process of phasing out the nighthawk and plans to replace it with the Seahawk bcd. The Seahawk has many similar features of the nighthawk but also has larger pockets for storage. 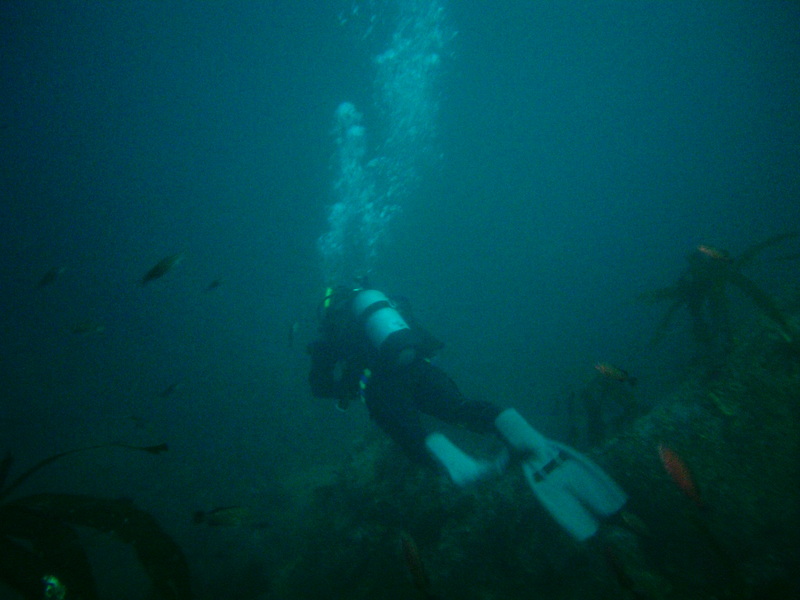 In diving one of the first major purchases that a new dive will make is a wetsuit. They are generally a lower budget item for divers beginning to get serious and are tired of waring suits other divers have peed in. 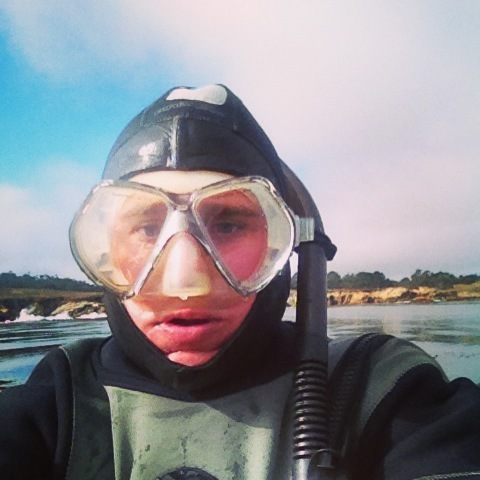 This problem I am about to address is more common in cold water because of the necessity of a wet/dry suit. Often while shopping a sales person will try to recommend a dry suit because of its benefits of being dry, and costing more than a wetsuit. After adamantly refusing this option some shops and sales persons will tell you about a magical “semi-dry suit“. It is half the cost of the dry suit that you just saw but twice the cost of the wetsuit that you were considering. This is a lie and they are lying lairs, there is no such thing as a “semi-dry suit“. Don’t be fooled obviously there are things marketed as “semi-dry suits” but a suit that keeps you semi-dry just doesn’t exist. In diving there are two options for diving wet or dry, you can’t be sorta dry or kinda dry that is wet. Would you buy a semi-dry phone case? I have a feeling that that might not cut it if you wanted you phone to continue working. So whats the difference, what makes these suits seem better than a traditional wetsuit. Nothing at all, it is a perceived improvement because of the belles and whistles and higher cost. The purpose of a wetsuit is to trap a layer of water inside the suit so body heat can warm it up and keep it trapped for insulation. This can be achieved by any wetsuit that fits properly, “semi-dry suits” try to forgo this design by super charging the seals at the ankles, wrist and neck to resemble dry suit neoprene seals. Now there is nothing wrong with doing this to a suit, it does make the suit more of a hassle to deal with, but in theory not degrade the purpose of the suit. A common error that divers can make with theses suits is assuming that it does not let water in the suit there for it does not need to be a snug fit, “semi-dry suits” fit is as important as wetsuits because they are wetsuits. The intention is to reduce the flow of water in and out of the suit with these super charged seals, and most of these suits do this very adequately but the question is do they earn the title of “semi-dry”. My issues with these “semi-dry suits” is not weather or not they work, most are very good suits. The issues lies with the deception to the customers, and the higher cost of the suits. Semi-dry suits are glorified wetsuits, they sound fancier and give a false perception of higher quality. Keep in mind next time your find yourself looking for a new wetsuit, and the sales person tries to sell you a “semi-dry suit” remember to ask if you will be dry or wet in the suit, and whatever answer you get thats what kind of suit it really is. The mask is one of the most important pieces of equipment that any diver can have, without the mask diving would be pointless because we would not be able to enjoy all of the underwater scenery. So here are some tips to help find the perfect mask. When picking a mask the first step it to ensure that you have options. Find a dive shop with a large variety of masks, the more you have to choose from the better chance you have to find the right one. Don’t worry about the price. 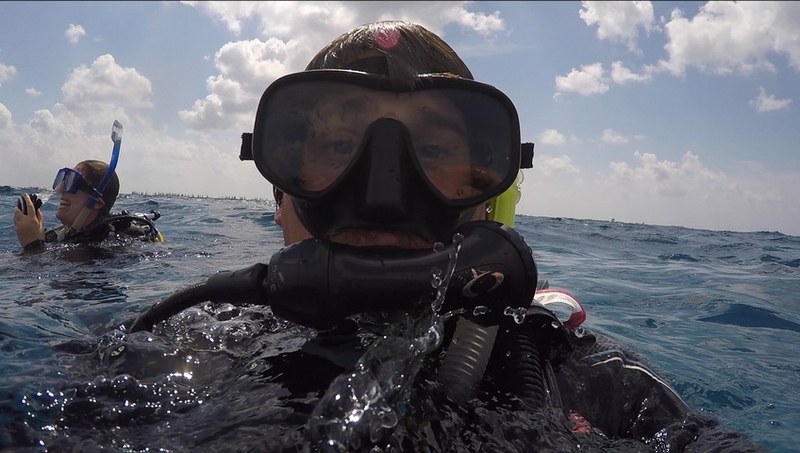 I know many new divers are looking to save as much money because it does add up quickly, but don’t discard a mask because it it more expensive. If you buy the right mask the first time it will be a long term investment. Fit is key. Don’t worry about the strap when you are trying on mask, a good fitting mask should suction to your face without the use of the strap. If it doesn’t stick to your face without the strap then its not going to keep the water out. Comfort. Make sure the frame of the mask isn’t making contact on the bridge of the nose or forehead. This can be more common with single lens masks. If it is uncomfortable when you are warring it in the store its not going to be uncomfortable in the water, and will leave marks on your face. Test it out. If the shop your are buying your mask at has a pool ask if you can test it out in the water. Testing it out is the only way to know for sure if the mask seals on your face properly and is comfortable. If the shop doesn’t have a pool ask if you can return the mask if it doesn’t fit properly. Because every person is different, finding the right mask is not an exact science. There are also many other secondary factors that affect choosing a mask because of the great variety of styles. Black silicone vs. Clear silicone: Many masks come in clear and black silicone versions but not all mask so be sure to ask your dive shop what available options there are for the masks that fit you best. Black silicone mask are more favorable for spear fisherman, and photographers because it helps our eyes adjust to lower light faster, clear silicone masks are good for avoiding feelings of claustrophobia and give a open feeling letting in more light. Single lens vs. Double lens: Some of these options are mask specific, single and double lens mask provide different benefits, single lens mask provide a continuous view horizontally while double lens mask tend to provide more space for larger noses and avoid contact with the nose and forehead better. Normal vs. Low volume: Low volume mask are great for reducing effort to clear the mask and are popular for free divers and spear fisherman. Clear lens vs. Amber lens vs. Mirrored lens: Type of lens can be similar to ski goggles clear lenses are standard for most mask, some mask may have yellow or amber lenses that are optimal for blue water diving/ hunting, mirrored lenses are also primarily for hunting preventing the fish from seeing your hungry eyes. Silicone strap vs. Neoprene Strap: Straps can be changed on any mask, but each has its own benefits. Silicone straps stay in place much better than neoprene straps, but neoprene straps don’t pull hair as much as silicone straps. If you ware a hood while diving neoprene straps have a tendency to slide around more than silicone. Color: Color is only a cosmetic change. All of these option I believe are secondary. I would focus on finding the correct fitting mask before worrying about any of these options. Some of these options can vary depending on the style and brand of mask. Keep in mind that many of these features are secondary to finding a mask that fist well. I have recently purchased the Oceanic VTX with the transmitter in order to upgrade my current wrist computer a SubGear XP-10. Although the SubGear XP-10 as a computer worked fine it was an entry level computer and it was time to upgrade and take advantage of the many features of a high end computer. I have only managed to use the VTX for about 10 dives but as a computer it works great. 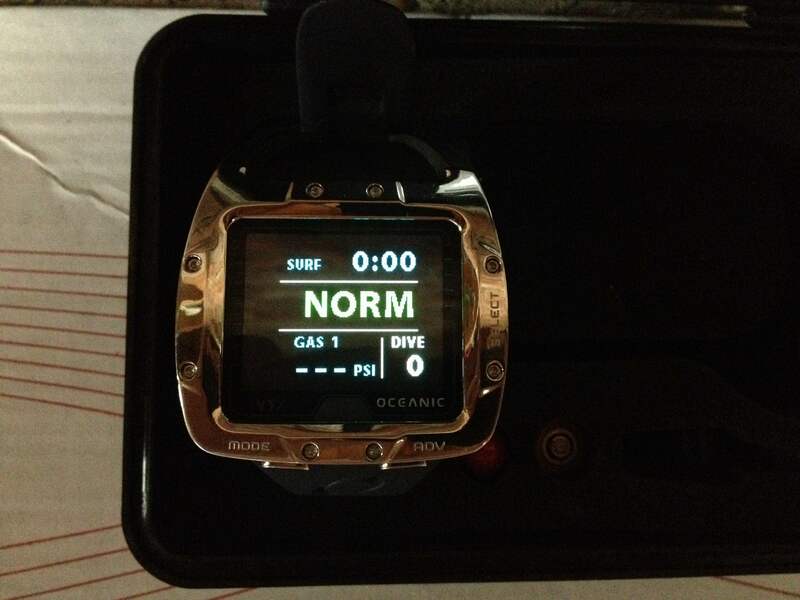 The OLED screen is easy to read even during night dives with no need to press a button to get the back light to turn on, I have been keeping the brightness at 40% and it was still easy to read during a night dive. The menus are easy to navigate and a very simple learning curve for operating the computer. 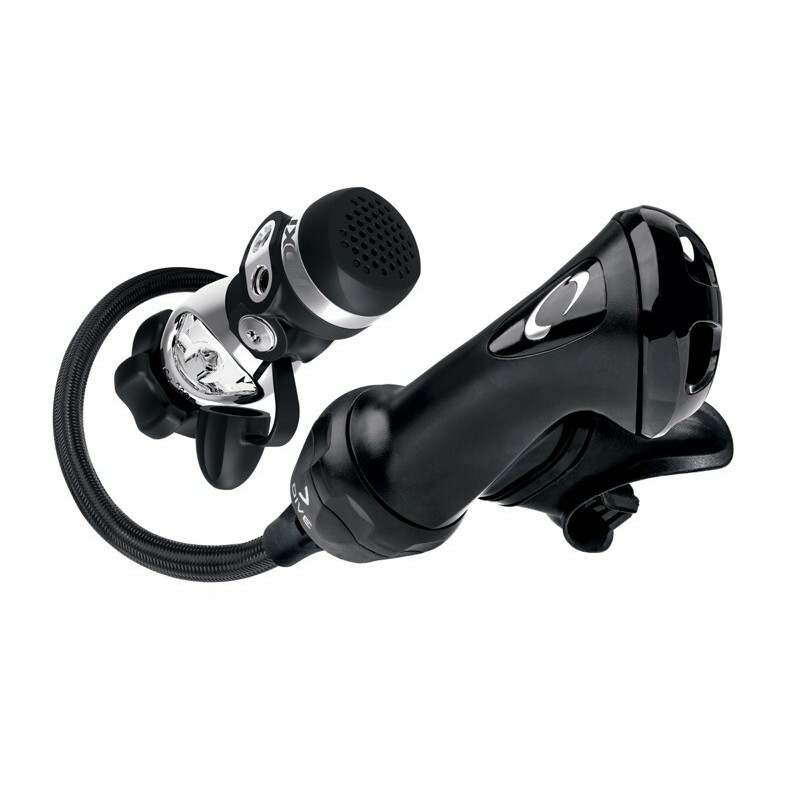 There are many more features, including multiple deep stop settings, and alarms, safety stop countdown timer. This is the first air integrated computer that I have used, it appears to work very well but compared to my SPG it reads a slightly lower pressure. I would be interested to find out if there is a way to calibrate it. Overall this computer works beautifully, the screen is easy to read, the navigation is simple and it is a great choice for an upgrade if you are looking to switch to a high end computer. Overall if you are looking for a bright colorful wrist computer with the air integration option the VTX is a great option that i suggest everyone checks out. Check out the new video review.